This debilitating condition strikes both the young and old and is predicted to become one of the biggest healthy problems the world faces. When joined together, there are three primary factors that produce the age-related loss of muscle mass and the condition called sarcopenia: Protein deficiency, hormone concentrations and motor unit restructuring (the inevitable death of neuron cells). 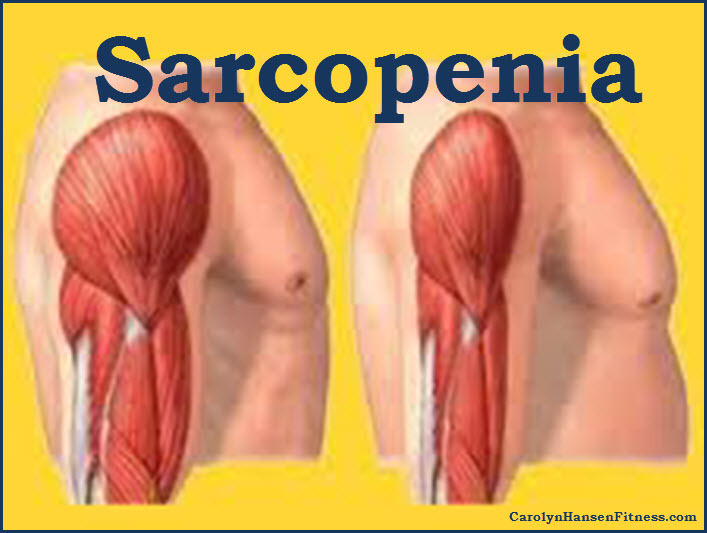 Additionally, since sarcopenia is the progressive reduction of muscle mass and muscle strength is strongly associated with bone loss and osteoporosis, the two go hand in hand. However, most attention has been given to osteoporosis because thin bones translates to broken bones. 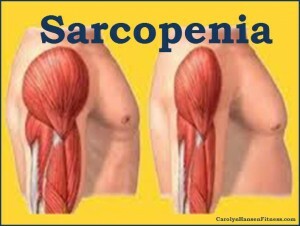 Those with sarcopenia experience the much less obvious but equally destructive muscle loss. Our muscles are attached to bone and if muscles are not kept strong there is less pulling on the bones they are attached to so they weaken as well. With a decline in proteins and hormones and cellular death all coming into play, it would seem that sarcopenia is inevitable. But the truth is, age researchers have discovered there are simple steps you can take to keep sarcopenia out of your life and exercise is at the top of that list. Because of the lack of manual labor these days, we hardly ever bend down to lift, carry, reach or stretch. And, unfortunately, unless you do manual labor, just rushing around in your daily live does not work the major muscle groups through their ranges of movement under an adequate load which is the formula for muscle building. However, there is a serious price to pay for not getting enough proper exercise. Without the simulation of vigorous movement that works our muscular system, the body sense that we don’t need your strength any longer so we are automatically switched into “shutdown and degeneration” mode. Let’s face it, research is proving more and more that conditions we once thought were “due to aging” are actually due to “lack of use”. The reason they appear in older people is simple because they have lived a sedentary lifestyle longer…not because of aging itself. The human body cannot stay healthy without constant vigorous activity…the kind that challenges our muscles. That’s how we’ve been engineered…it’s our genetic blueprint. Bottom line is this: activity that works our muscular system forces our body to grow…to be alive, while sitting around living a sedentary lifestyle that does not include exercise encourages the body to decay. You need to remind your body over and over that its strength is needed by using it.